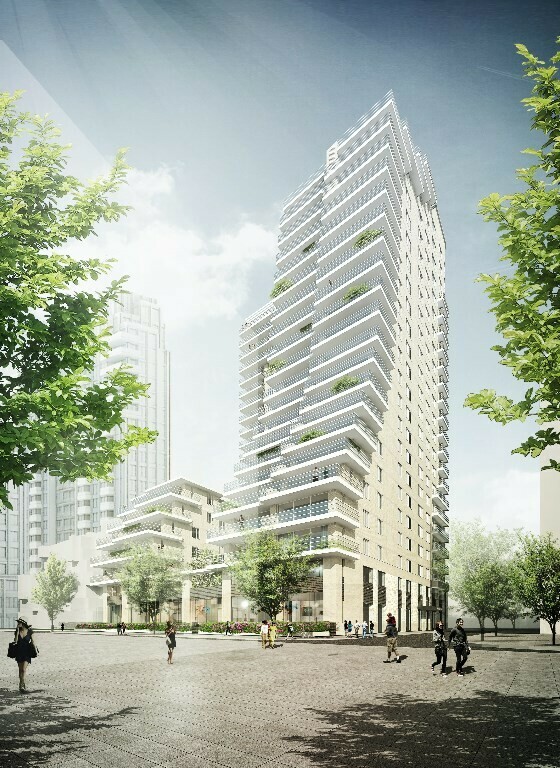 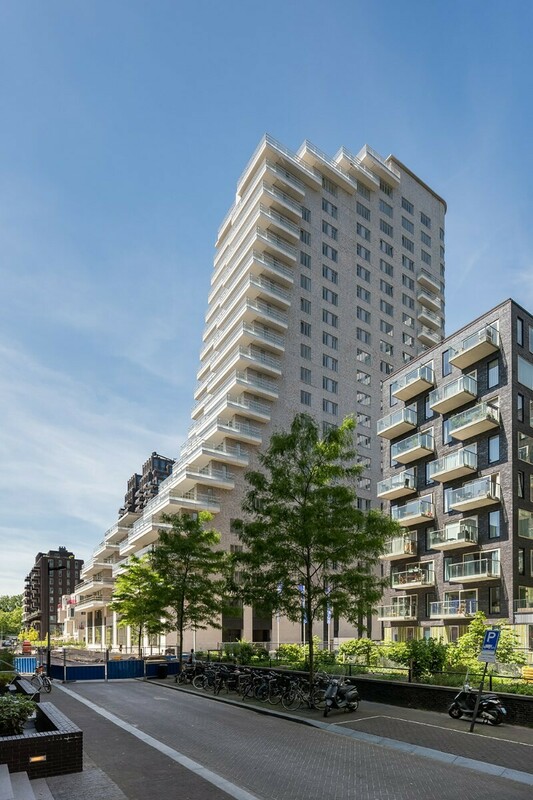 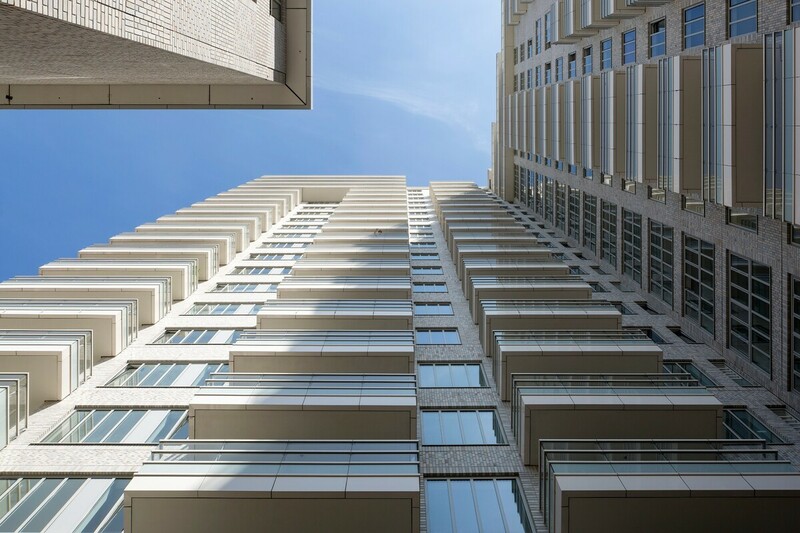 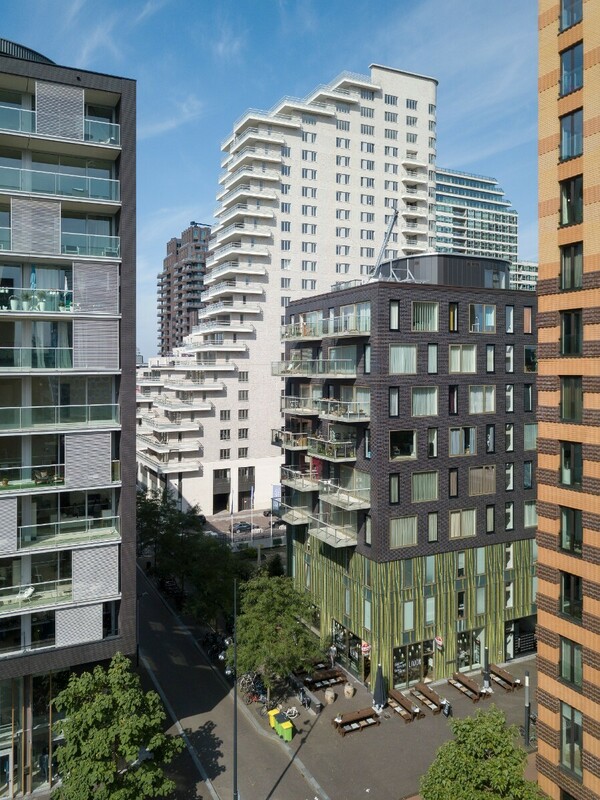 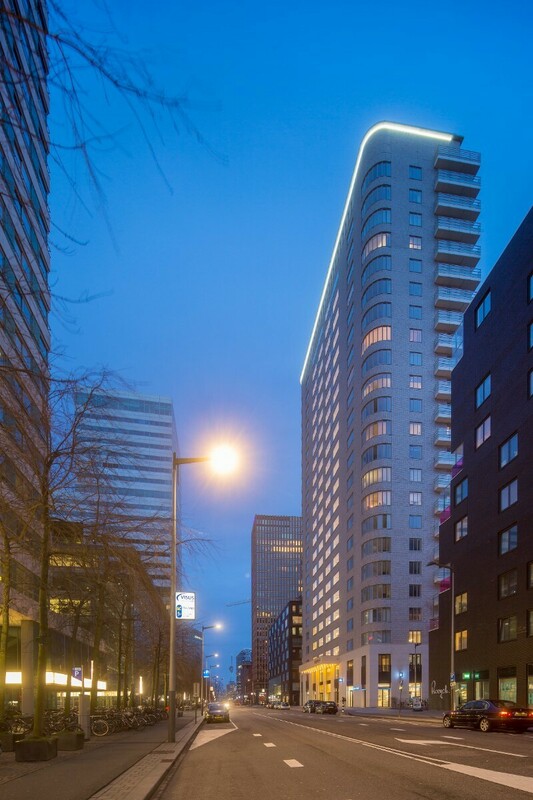 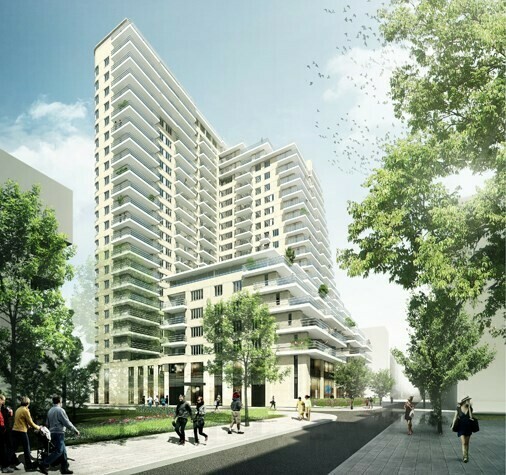 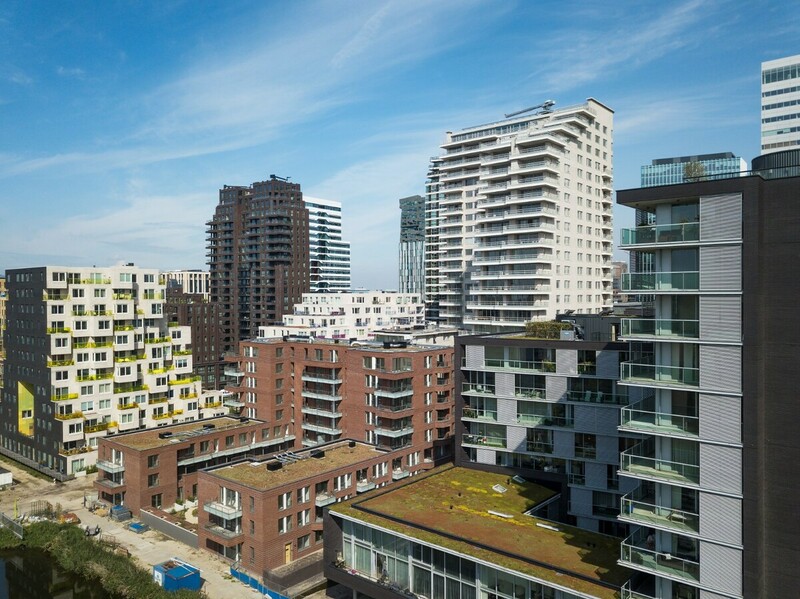 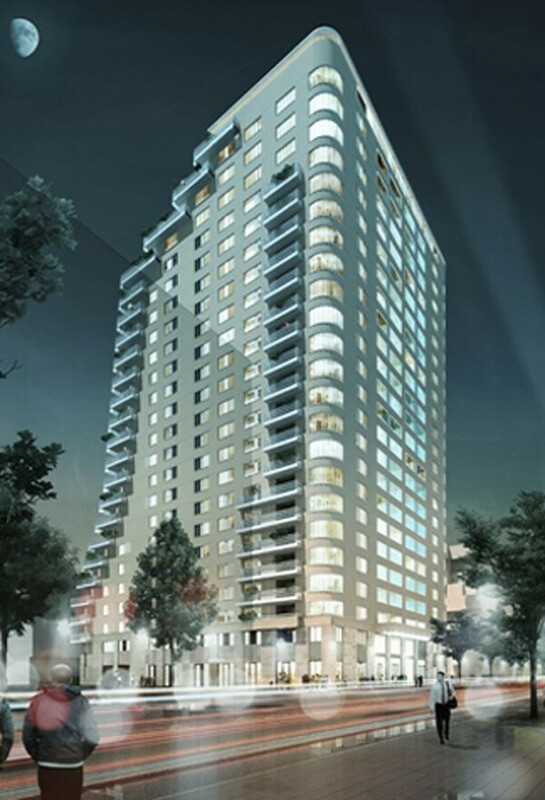 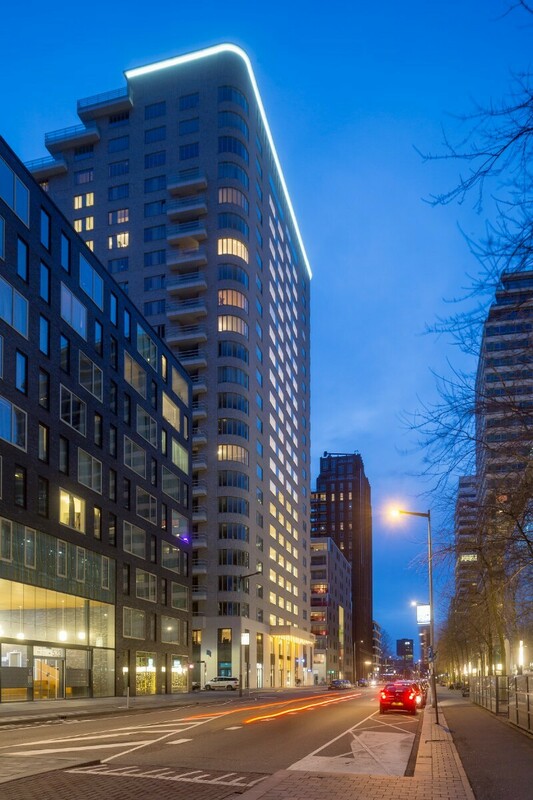 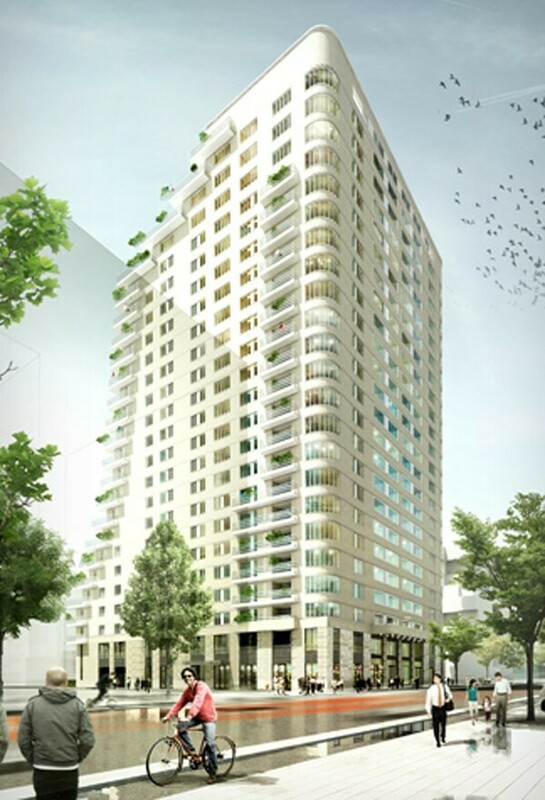 Intermezzo is an elegant residential high-rise of nearly 90 meters high, that boosts the urban vibrancy at the Zuidas. 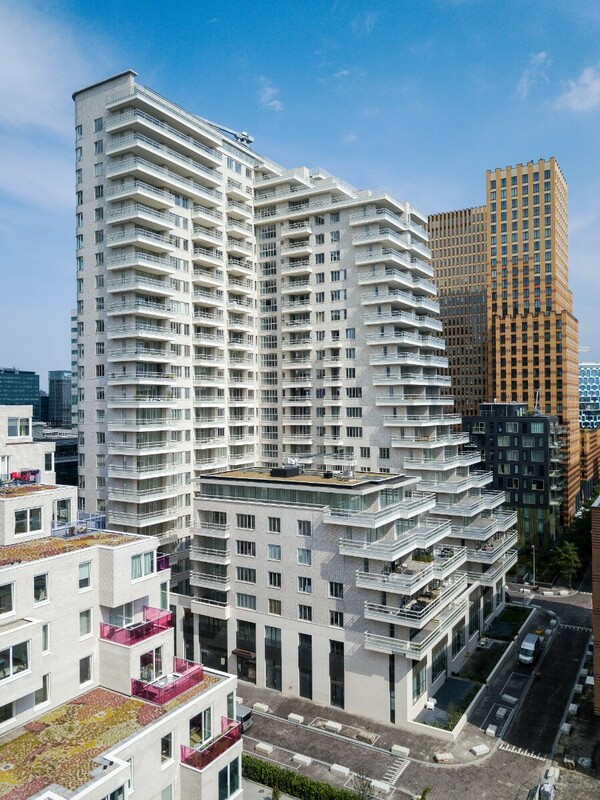 It is a building with two faces. 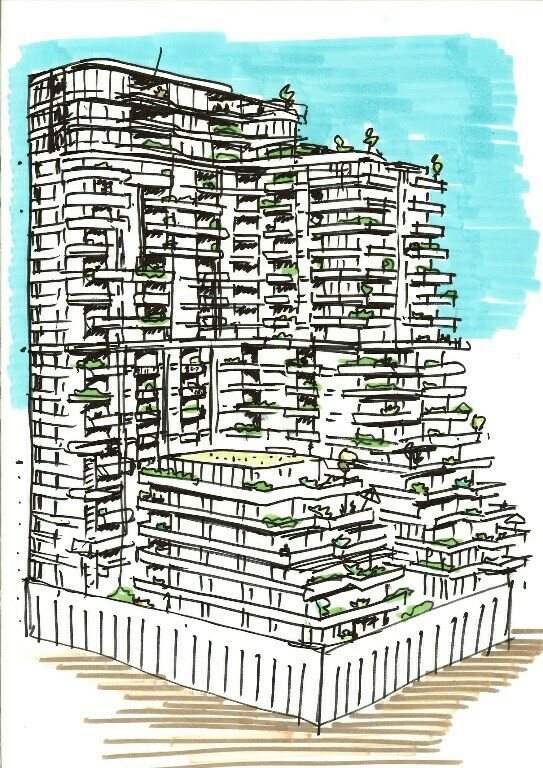 The vertical and serious city side, with its transparent entrance and the rounded corner vistas. 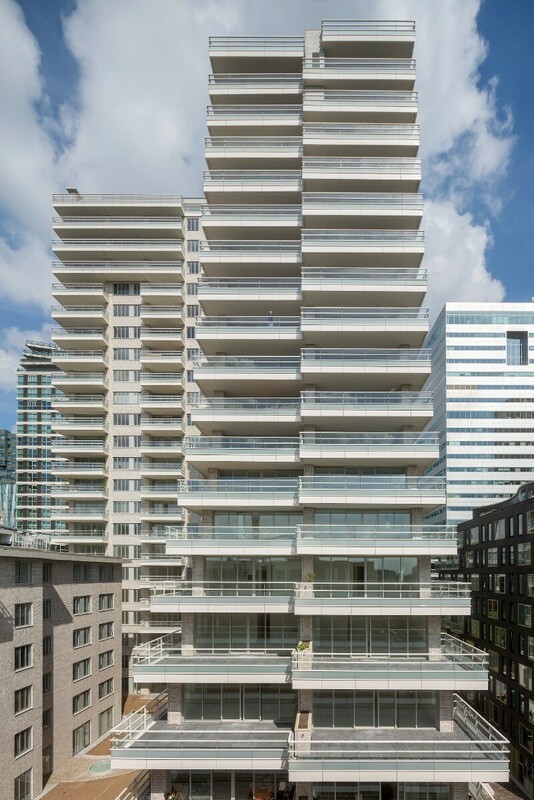 On the other side, the spectacular large balconies draw the attention, providing Intermezzo with a distinguished sophistication that resonates with the metropolitan quality of the Zuidas. 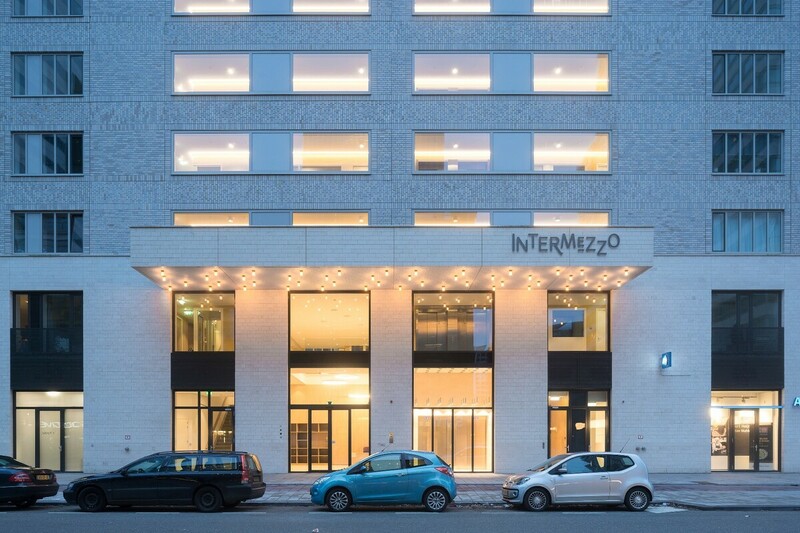 Because of the chic materials that were applied, Intermezzo completely radiates elegance and luxury. 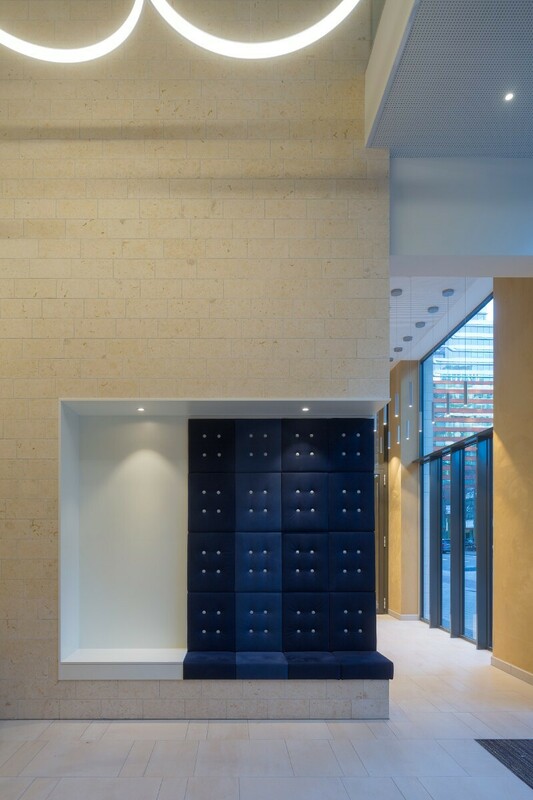 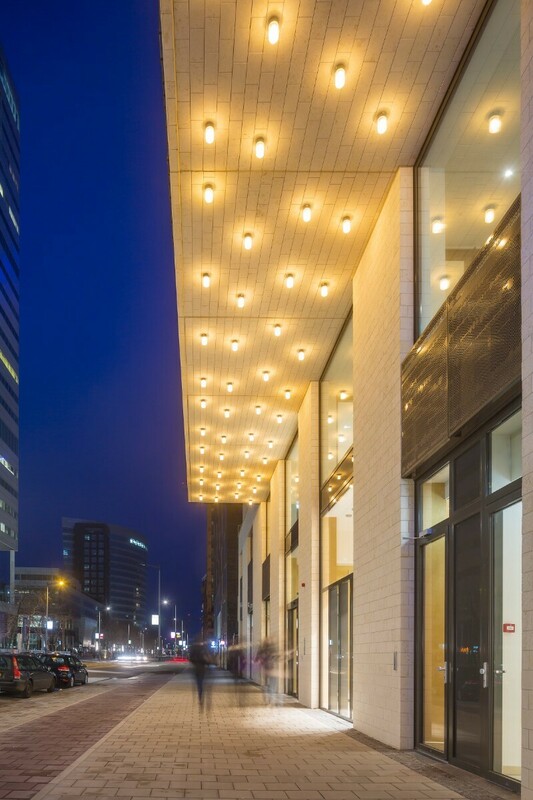 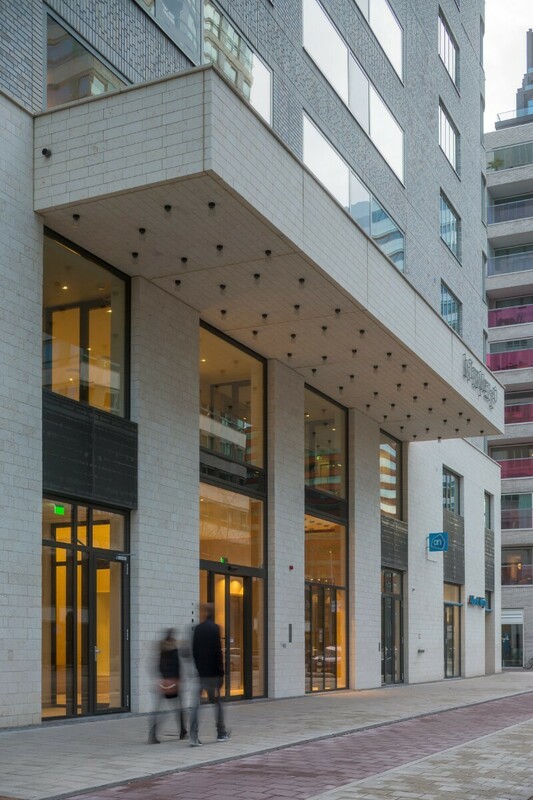 The 8 meter high plinth made of white gold colored stone and the very exclusive light brickwork, the attractive natural stone and oak interior in the entrance and floor lobbies. 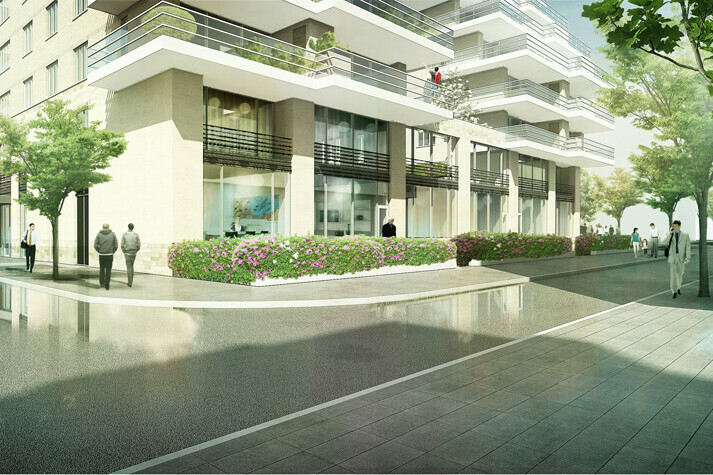 All 175 apartments have a generous outdoor space, that amongst other features is so characteristic of the building. 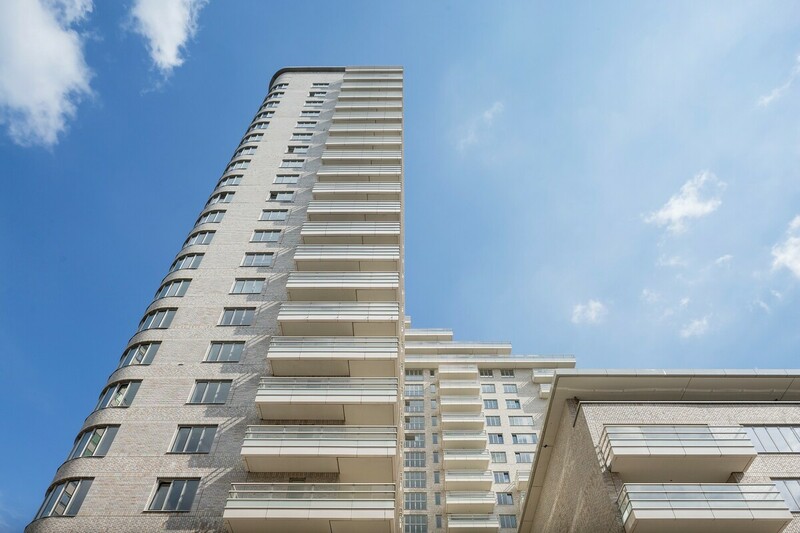 The most spectacular feature of the building is its penthouse. 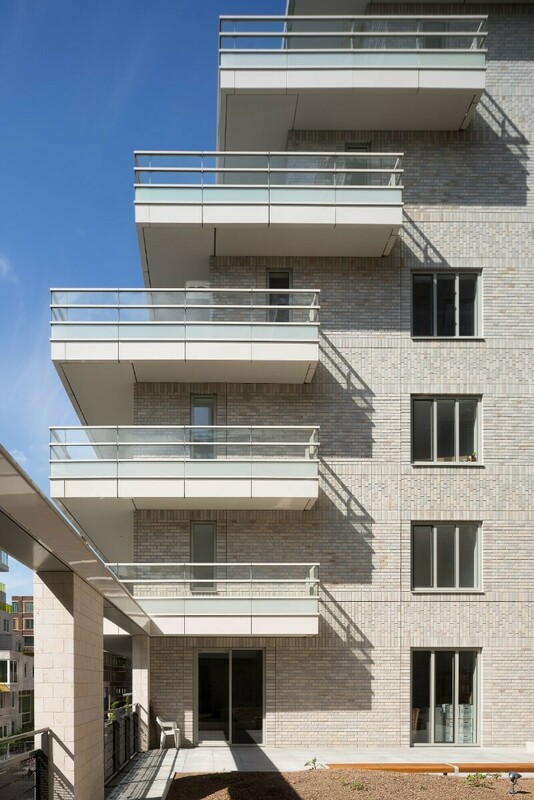 An urban villa with a 300 sqm terrace situated at a height of 80 meters.